Indonesia can direct Australia’s regional dreams or dominate its nightmares. Just as Papua New Guinea shapes the way Australia thinks about the South Pacific, Indonesia frames Australia’s view of Southeast Asia. In those key regional relationships, Australia’s strategists, diplomats and journos get plenty of mileage from the nightmares. Yet often things work out better than feared. The sun breaks through and the politicians can follow the natural inclination of the business types to gaze on the bright side. 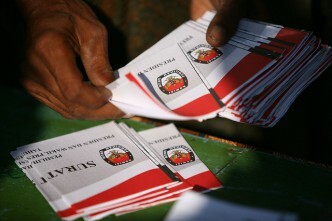 Jokowi’s election is a fine moment to turn from the dark side to contemplate the dreams. 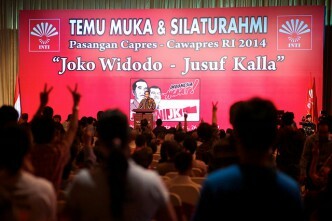 As Natalie Sambhi argued, a Jokowin is a win for Australia. For all the nightmares Australia has had, this is another moment of great good fortune. Donald Horne’s Lucky Country moniker holds truths beyond irony: Australia has had no influence on the course of events since Suharto fell, but Indonesia’s political evolution has delivered Australia great benefit—a fine example of luck. The luck held in this election. 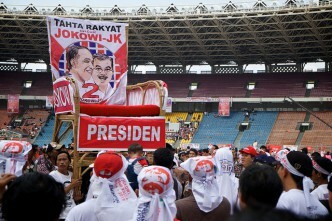 Indonesia avoided the offer to turn back to some strange conjuring of a Suharto past adorned with Sukarno nationalist symbolism. Australia would have striven mightily to work with a President Prabowo Subianto, but this former general had only just been removed from Canberra’s visa black list over human rights violations. Embracing Prabowo would mean grimacing and dusting off old Suharto languageabout Australia’s many interests with Indonesia and the vital need to deal with whoever is in power. Thank our lucky stars and Indonesia’s voters for not having to relive that experience, where limiting damage also meant limiting what could be asked or aspired for. 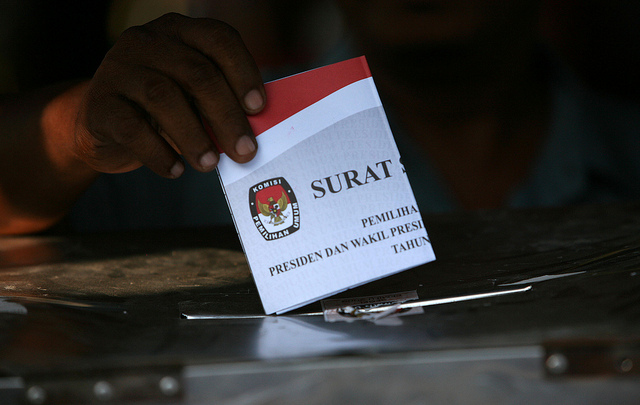 Indonesia’s fascinating election further entrenches one great caveat in the statement that Indonesia and Australia are two neighbours with absolutely nothing in common. We now share something vital and defining—both are democracies. Sharing democracy is a major change in what Australia and Indonesia can imagine about each other—or what Australia can understand about Indonesia. Such a shared view of how politics and society best operate can balance all the differences between these two most dissimilar of neighbours. Democracy produces all manner of clamour and discontents, but also offers energy and opportunity that could never be had from the disciplined silences of Suharto’s order. The big political and social belief Australia and Indonesia now share will be useful in dealing with the most secret of topics. Australia’s abiding, intense intelligence focus on Indonesia got a public showing last year. Indonesian outrage at the revelation that Australian intelligence targeted the phones of President SBY, his wife and inner circle saw Jakarta recall its ambassador from Canberra in November, and put a freeze on military, police and intelligence cooperation. The fundamental discovery—painful for the new [Abbott] government—is that, while on some measures, the two countries have grown a little closer in recent years, the fundamental relationship between Indonesia and Australia is an asymmetrical one. Indonesia is far more important to Australia’s security concerns than is Australia to Indonesia’s. The asymmetric image recalls a Jakarta epigram that the late Jamie Mackie told me he first heard 30 or 40 years ago: ‘Australia is like your appendix, you only think about it when it hurts.’ Given all the problems Indonesia confronts, this is as it should be. There are worse things than having a big and burgeoning neighbour that doesn’t think about you that much. More luck for Oz. The challenge is always to turn up as a friend offering help and a fresh perspective, not the painful southern ache demanding something. 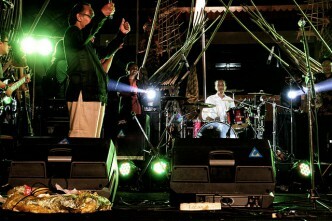 The Snowden storm produced a call from Indonesia for a new accord on intelligence. Getting that is deeply difficult. Australia is having a discussion on intelligence boundaries with Indonesia similar to the conversation the US is having with Germany; the Snowden effect abounds. Espionage is always about potential nightmares, but democracy offers a shared belief that can be the basis for some level of trust. And a new Indonesian president offers Australia a new chance to build. Graeme Dobell is the ASPI journalist fellow. Image courtesy of Flickr user Department of Foreign Affairs and Trade.